Wear your colours with pride on the 28th of April and support the Bobby Moore Fund by taking part in Football Shirt Friday. It's that time of the year again. 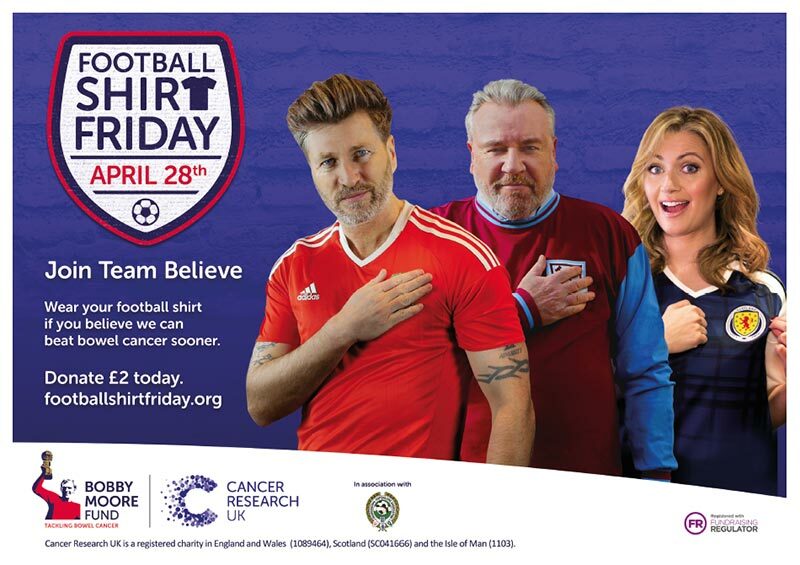 On the 28th of April, the Bobby Moore Fund and Cancer Research UK are urging everybody to pull out their favourite football shirt and support the fight against bowel cancer for the 5th annual Football Shirt Friday. Taking place during Bowel Cancer Awareness Month this April, the campaign is supported by big names and familiar faces within football. 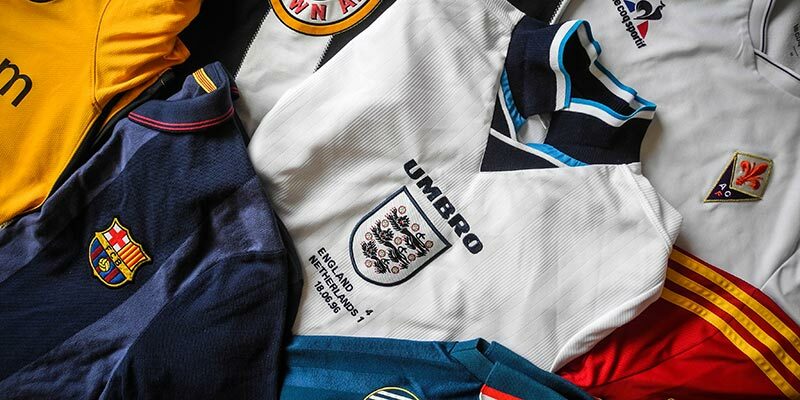 If you're stuck for ideas on which shirt to wear, the guys at Classic Football Shirts are offering supporters 20% off all shirts in the week running up to Football Shirt Friday (21st-28th of April). Simply add discount code FSF2017 at the checkout to save 20% off your next shirt. Stephanie Moore MBE, Bobby Moore’s widow, set up the Bobby Moore Fund in partnership with Cancer Research UK to raise money for research into the disease. To date, over £23m has been raised to help ground-breaking bowel cancer research. “We want to see the whole nation get behind Football Shirt Friday, wearing their team’s colours with pride and believing that together we can and will beat bowel cancer," explains Moore. "We have made enormous progress in the last 50 years but sadly bowel cancer still kills 44 people in the UK every day. "By joining forces, raising funds and channelling that unbreakable spirit of a football fan to support the Bobby Moore Fund, we can all help bring forward the day when bowel cancer is cured." Whether your colours are red, blue or canary yellow, get your team together this Friday and make Bobby proud! To find out more, visit the Football Shirt Friday homepage. 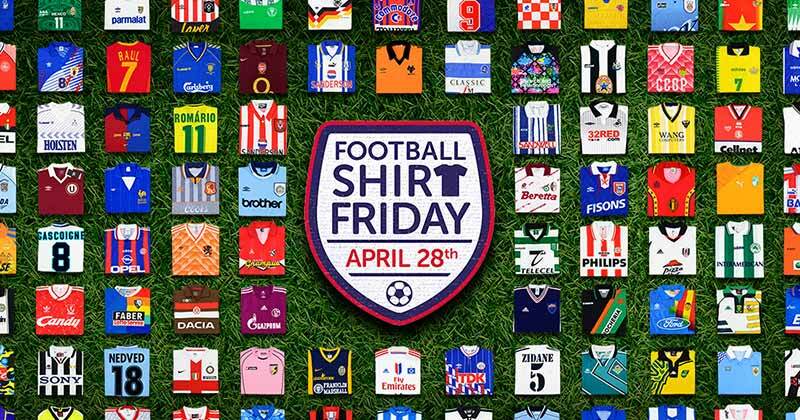 This year, Football Shirt Friday will take place on April 28th. How do I get involved in Football Shirt Friday? Join the conversation on Twitter using @BobbyMooreFund and #FootballShirtFriday or on the Facebook page at OfficialBobbyMooreFund. To donate £2 to the Bobby Moore Fund, text GOAL002 to 70070. Texts cost £2 plus 1 standard rate text. Cancer Research UK receives £2. Ts&Cs can be found here.